Was John Henry a real person? 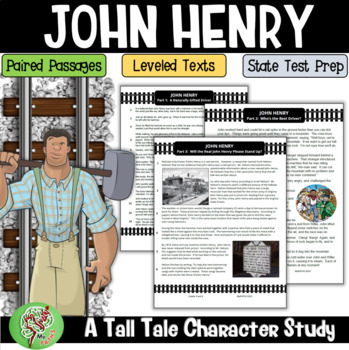 This text series is set apart from others in that students are given the tall tale story of John Henry and compare it to information from a researcher who believes that John Henry actually lived! Students get a chance to look at both perspectives and decide whether they believe John Henry was a hero, or someone different. We have background in assessment writing, and have crafted questions for state assessments. We use our knowledge of question design in all our products, ensuring that teachers get the rigorous types of questions that students must understand to be successful on high-stakes assessments. 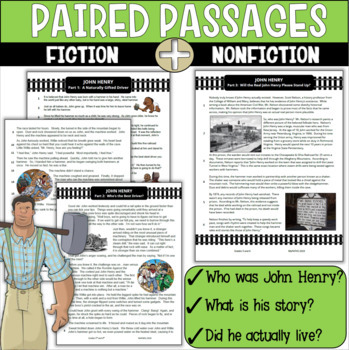 As teachers ourselves, we understand the importance of giving all students access to the text. With this in mind, we have created two different text levels. 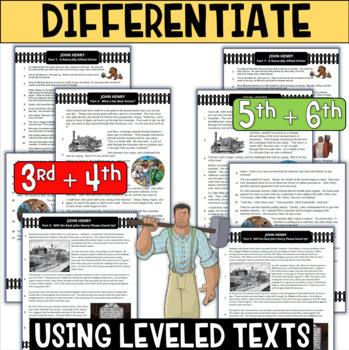 Our text sets include a 3rd/4th grade complexity, and a 5th/6th grade complexity. This allows teachers to reach more students. All students till investigate the same type of rigorous question stem, allowing them to put in the work that state assessments/NWEA MAP requires. ★ Part 3: Was John Henry Real? Students can assess their understanding with each questions. Using "Growth Thinking" students either score "Correct" or "Challenge" on the sheet. 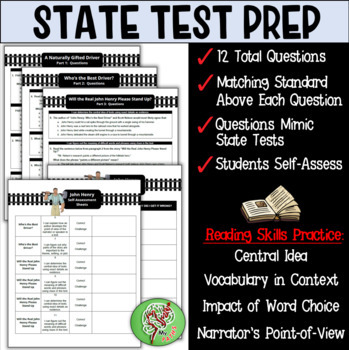 The student-friendly standard allows students to know what is currently a challenge with their comprehension. By self-assessing, students can figure out their strengths and opportunities to create goals. Thank you for taking time and looking at our activity. As teachers, we pride ourselves on creating the very best and welcome the privilege of being inside your classroom.